These are all international masters-level programs, taught in English by (at least) perfectly bilingual faculty. An Ecole Polytechnique graduate degree program is a two-year commitment to excellence. 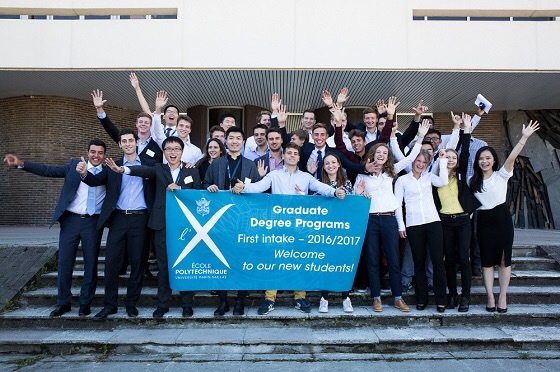 Through state-of-the-art multidisciplinary education, and in-depth scientific knowledge, these programs equip its graduates with the broad theoretical and practical skills necessary to “hit the ground running”: to be immediately efficient and successful when starting a career in industry, or when embarking on an entrepreneurial path of creating a start up. If you wish to apply to these programs (and, really, you should! ), do visit our pages dedicated to the admission requirements and process, and get in touch with our admissions team. Applicants will be notified of admission decisions 4 to 5 weeks after the deadline.